I've spent the last five years focusing on obtaining a degree and building a career in healthcare. I succeeded in both. I am a supervisor with a small office in a busy clinic. I am proud of myself for achieving this position and doing what I set out to do. I have a window in my office that looks into the IT closet, lots of flashing lights in a dark room. It isn't a scenic view at all. Whole days can go by and I don't know if it's raining or sunny (usually it's raining, but it would still be nice to see it). Supervising people is not fun at all. At. All. While I think my leadership style is amazing and I would have loved to work for a boss like me, not everyone feels the same. This can get very discouraging and hard not to take personally after a while. My creative pursuits, like knitting and writing, were put on the back burner, used solely for stress relief. I have bags of unfinished (of course) long knitted tube scarves since I love knitting in the round while watching TV to unwind after work. (Maybe they aren't scarves. Maybe I should stuff them and make pillows. That works, too.) The point is that I find myself unhappy and unsatisfied with this lifestyle that focuses on office work with creative work on the side. I definitely like the paycheck and small independence in by my supervisory role. I never expect to live off my creativity (at least not until I sell my first novel or screenplay). The question I keep asking myself is: how long do I want to live this way? It's a grind, no doubt. I'm the typical working mom who drives the kids to school, slugs down coffee while checking emails, sits through mind-numbingly boring meetings, races to the grocery store at lunch or after work, then spends most of my time out of the clinic thinking about the clinic. Do I want to keep living this way? College looms on the horizon with all its tuition and fees. The kids are teens now with lives of their own. I can easily work late or go in early on a Saturday. But do I want to? My resounding answer the past few months is No! I don't want to live this way. I want to live a creative lifestyle where I focus on writing or knitting or making things. I want to be busy creating what I see in my mind, writing stories and novels, thinking big thoughts beyond an email inbox. I don't want to keep living the lifestyle I'm in right now. 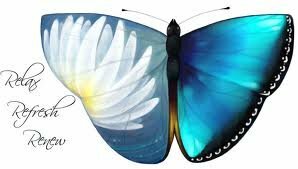 So here I am at the beginning of 2019 purposed to do just that: change my lifestyle. I am focusing on reopening stinkRknits on Feb 1 with new inventory of beautiful things I love to make, not just knits. I set a writing goal to finish 1 short story a month. I've almost accomplished this for January. I spent the afternoon today (after spending 3 hours in the clinic) with a new planner formulating goals and timelines. I need small victories, small changes, so I keep moving forward inch by inch. I feel excited and happy about what this year holds. A lot of hard work, yes, but I have a vision for my life that will be totally worth it. What about you? Are you living a lifestyle you enjoy? Or do you need to make a change? The past month has been one of reflection and retooling at stinkRknits. I lowered all my mug cozy prices. Madness, you say? No! I did a very thorough search of mug cozies on Etsy. I looked at prices compared to design, embellishment, and quality. My prices were some of the highest, but my products are definitely unique. I work hard to maintain a standard of quality that would attract any buyer. However, if the price is too high, the customer will not buy! So, after my research and soul searching (am I crazy? does the customer value my item as much as I do? what am I truly trying to accomplish here on Etsy?) I lowered the prices by a few dollars. Wouldn't you know it, one sold the very next day! I had another sale a week later! Definitely made the right choice. I feel good about it. Running a business is such constant revamping and reworking. The market is always changing and so are the trends. You really have to be diligent and up to date when competing for business. I like to search similar products on Etsy once a week now. I want my shop to be competitive. There can't be an emotional attachment to your products, either! I remember a cute basket weave bag I had in my shop. I was sad the day it sold! I had created this bag from my own ideas and designs. I had brought my creation to life! And then I had to ship it off! My hope is that the buyer enjoys and loves the products of my knitting as much as I do. It's a romantic notion of my shop that I really can't afford to have. I love the design and creative process of each listing. But, once it's listed, that's where my cold, hard business sense must take over. So, here we are on the cusp of the holiday season. I set a goal to have 100 products listed in my shop by the beginning of November. Only 23 to go! I am making these cute mini bunting banners that I designed. They are so cute! I'm going to make one for myself to hang at my desk during homeschooling. I'm thinking about a coffee theme. Did you catch that? We are homeschooling again. The year is off to a good start, which you can read about here. The balancing act has begun. I'm keeping it all moving so far: Etsy, homeschooling, wife, coach. Not in that order, but you get the idea. There's is always a lot going on! I took a risk in July by leaving my inventory behind and my shop NOT in vacation mode as I spent a lovely three weeks in Washington state. This is my usual family vacation, but the first one while I've been running my Etsy shop. I knew the risk was small, as my sales have been slow the past couple months. I did get one sale, three days before my return home, in plenty of time for a reasonable ship date. Woo hoo! 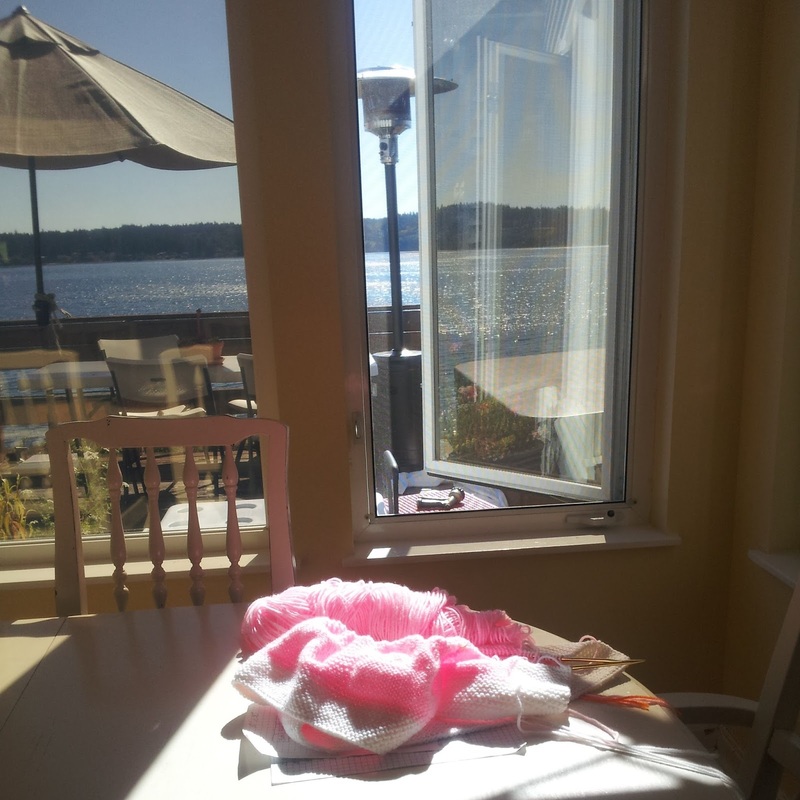 I worked while on vacation, not a lot, but who could resist knitting with such a view? I had to indulge my passion and commune with my bamboo needles and soothing yarn while I was there. Also, I had about 10 days without my husband with me and that meant some very late nights knitting and purling with Seinfeld, The Office, and Frasier. Bliss! I was working on a baby blanket I planned to leave behind, but I was way to busy having fun to finish it. We went roller skating, bowling, and had lots of coffee. LOTS of coffee! (Starbucks started the Treat Receipt right when we got there! Perfect timing!) I have a few more weeks before my sister's baby is due. I'm a little nervous, but I think it will get done. I'm in the middle (almost) of a Massive Project that must be done before the end of August. It's an afghan for a wedding gift. So that's my priority right now. I think I'd rather be knitting the baby blanket. It's cuter! 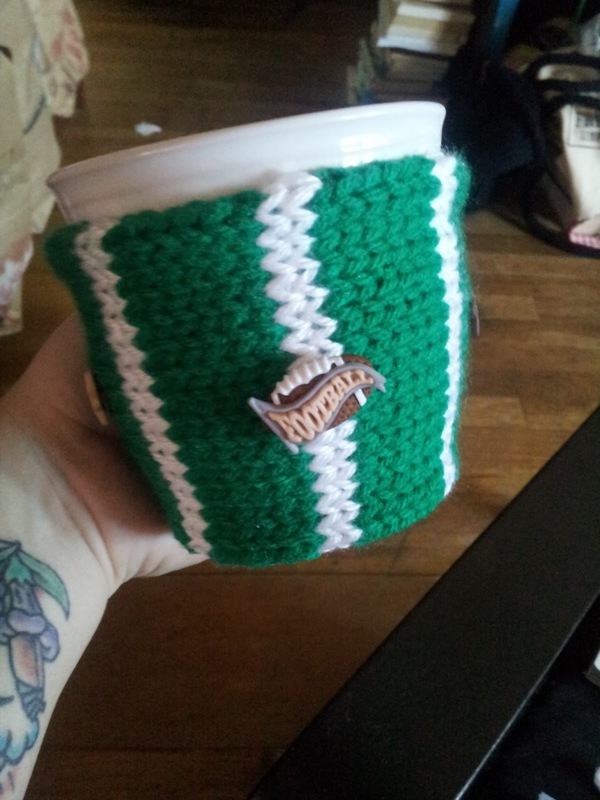 I finished a couple new projects on the trip: a cute dachshund mug cozy and a cherub tassel necklace. The lighting was absolutely perfect for these listings, however the Internet was incredibly s-l-o-w. It was more like s---l---o----------w. Seriously. Maybe it was the clouds. Maybe it was the location. I don't know. That dampened my enthusiasm for making listings. But not my creativity! I spent a lot of time with my project notebook sketching and planning projects. One of our favorite activities on summer vacation is thrift store shopping. There are several awesome shops in the area and there are treasures to be found! Here are just a couple books I picked up for $1 each. I scored a stack of books at a Goodwill, all about knitting and one about cup cozies in particular. Wow! Lots of inspiration in that one. I also scored some needles and my sister gave me her stash of yarn. Bonus! I loved our vacation. I am refreshed and ready to tackle Back to School and the Holiday prep season for my shop. I have a notebook full of ideas and projects that I am so excited to make happen. 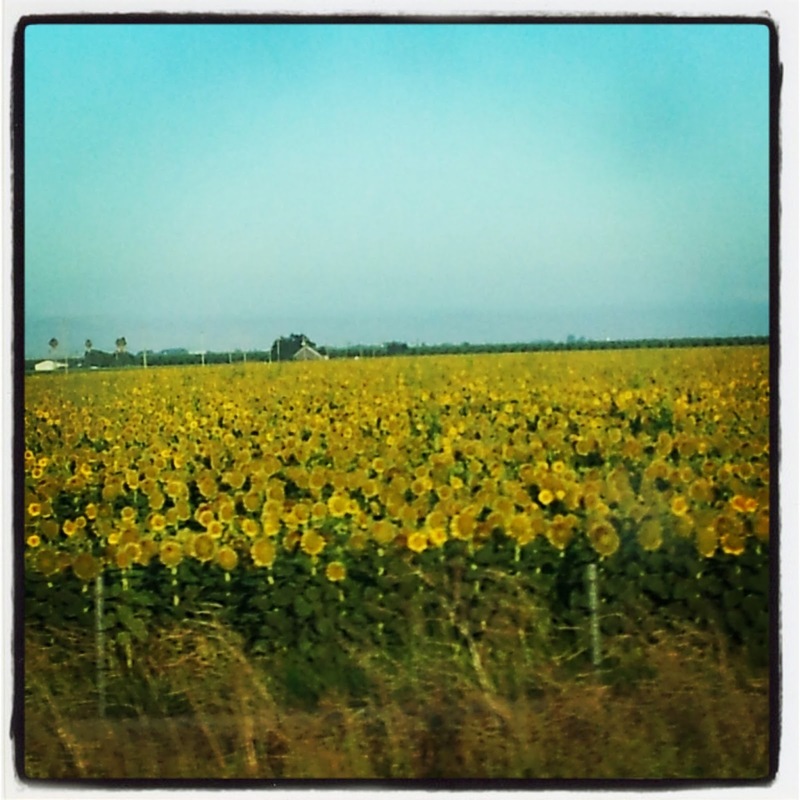 Our drive home even provided some inspiration for my latest listing, a sunflower bunting. I have been surrounded by the military my whole life. There is a special place in my heart for the families of soldiers serving today. My father was gone two to three weeks of every month for many years. I appreciate the sacrifice the families today are making. This the first year I have had my Etsy shop ready for the Fourth of July. I really wanted to do something special, something patriotic, to show my love for veterans and soldiers. I always cry when I hear the National Anthem. I love the commercials that show surprise homecomings of military dads! I've been learning a lot about perspective in my personal life, so I wanted to do something practical, too. Somewhere on the internet I came across Operation Gratitude. 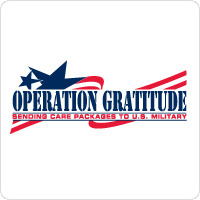 Operation Gratitude sends care packages to soldiers overseas, the families here at home, Wounded Warriors, Veterans, and First Responders. The packages are filled with snacks, entertainment, gifts, and even letters of appreciation. This organization simply wants to say thank you and put a smile on someone's face. I love this! It's practical and uplifting. Don't you love to get something in the mail? Wouldn't you love to get a care package of goodies? 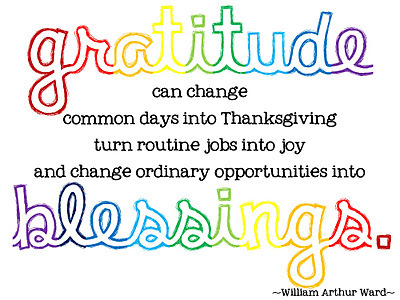 How about a letter from someone thankful that you do what you do? I think Operation Gratitude is doing something really remarkable and touching the lives of so many people. This is a truly wonderful way to show gratitude to these soldiers and remind them that they are not forgotten. In my shop through the month of June, ending July 5th, I have a special section just for Operation Gratitude. The purchase of any of the red, white, and blue cup cozies will provide a donation to Operation Gratitude. I always have a 10% donation in this section, but for the period of June through July 5th, 2013, I am donating 50% of the sale price to Operation Gratitude. I want to support their amazing work! Check out their website! You can find out how to get involved. You can volunteer to put packages together. You can request a package be sent to someone deserving. You can find other ways to support their cause, like a Mud Run! There is a lot of great information. For me, it's all about perspective right now. I am so blessed. I need to remember that. I need to pass it on! How are you spending your summer? You can read about mine so far here. I consider myself somewhat of an artist. My husband smiles at me indulgently when I talk about "the fiber arts" and being a "fiber artist." Let's just say I'm creative with yarn. I may get inspired by a visit to a museum, you can read about that here, or a fashion magazine. Sometimes something catches my eye and I get that Aha! feeling. Lately, my inspiration comes from buttons, little packs of themed buttons. I purchased many, many of these little packs in a variety of themes. My pan is to make mug and cup cozies with these cute buttons on them. One of the first button packs I grabbed was a football theme. There are several footballs, some stars, a helmet, and some that say "Football!" or "#1 Player." Being a football fan myself (Go, Bucs!) I knew these would be perfect on a green and white knitted background, basically a football field background. Knitting with different colors on the same project is a skill and takes practice. The different threads have to be combined just right or it will look bumpy and funky. I knew my football field had to be smooth, so I simply cut each strand of white at the end of the row. Easy enough, but really a pain to weave in all those ends! Ask any knitter about weaving in ends and they will tell you, ugh! It's the most tedious part of the project. There were a lot of ends to weave in! But, it was worth the effort because the cozy looked exactly how I pictured it. I listed it in my Etsy shop and moved on to another project. 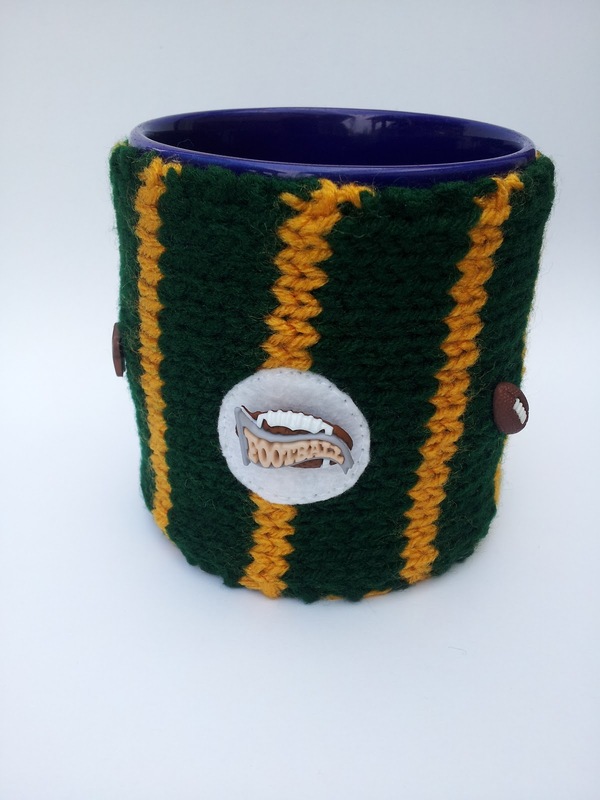 Well, what do you know, but the wife of a football fan, a Green Bay Packers fan to be exact, saw that mug cozy and requested a custom order. She would like one knit with green and gold, the colors of the team! What a great idea! Now why didn't I think of that when I listed it? Of course I can make one in those colors! No problem! I knew I had that gold yarn SOMEWHERE. I knew it had to be...nope, not on my shelves. Maybe it was...nope, not in my stash in the house. Hmm. Maybe it's in the storage room, but I hope to God it's not because that room is filled with stuff! But it was in there. It HAD to be in there. I had already given up and gone to the craft store to get some new gold yarn. But it isn't time for gold yarn on the shelves. No, it's still summer colors. Dang it! I crept into the storage room, halfheartedly moved some bags, and hallelujah! There it was! The gold yarn was sitting at the top of a bag! Success! I got busy knitting the cozy and am very pleased with how it turned out. The buyer purchased it and off it went into the mail. I love packaging my knits to be shipped. There's a feeling of completion and satisfaction wrapped up in it. I also updated my listing to include custom orders. "Just click the Custom Order button and tell me the team and colors you want!" Now that summer is almost here, I'm making lists of projects and changes I need to make for my shop. I am transitioning away from scarves and warm knits into bags and hair wraps, more summery things. I have a bag full of cute themed buttons waiting to be attached to cup and mug cozies. My time right now is still taken up with homeschool and finishing the school year well, so making the lists satisfies my creative urge for now. My goal is to list something new at least once a week, but I've been stalled out a little. I am finishing a custom baby blanket. This blanket is the first one I've knit to sell. I've knit blankets as gifts, but this is the first time I am knitting one on a real deadline. 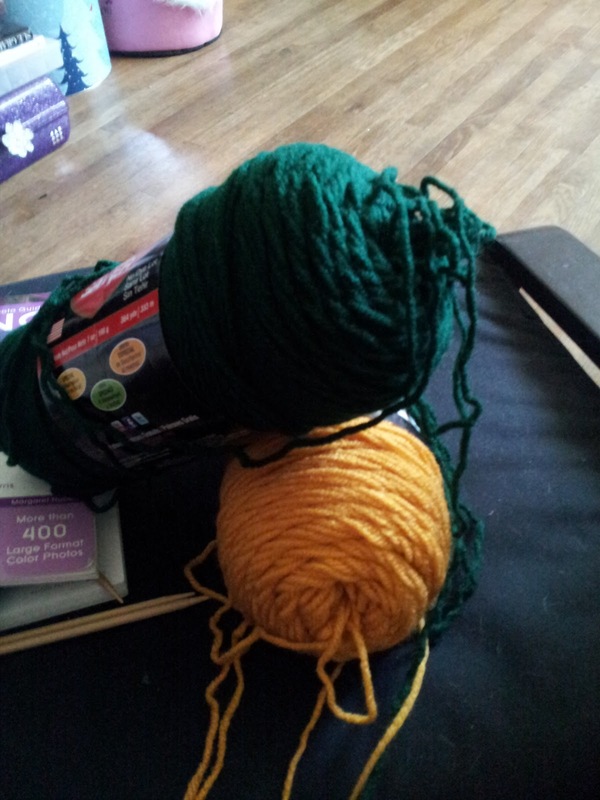 I thought knitting under pressure would stress me out, but actually it's been the opposite. I know exactly what I need to work on each day. My family knows I am on a deadline and they have been picking up the slack on housework and meal prep. Also, when I knit out in public, the blanket is eye-catching and generates a lot of interest. I always carry business cards now! So, this is the first of many to come, I hope. 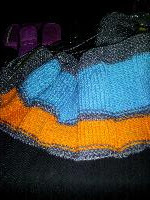 This is the tri-color basket weave baby blanket I am currently knitting. My husband and I went on an overnight anniversary getaway last week, which you can read more about here. One of our favorite activities is thrift store shopping and the area we stayed in had quite a few. 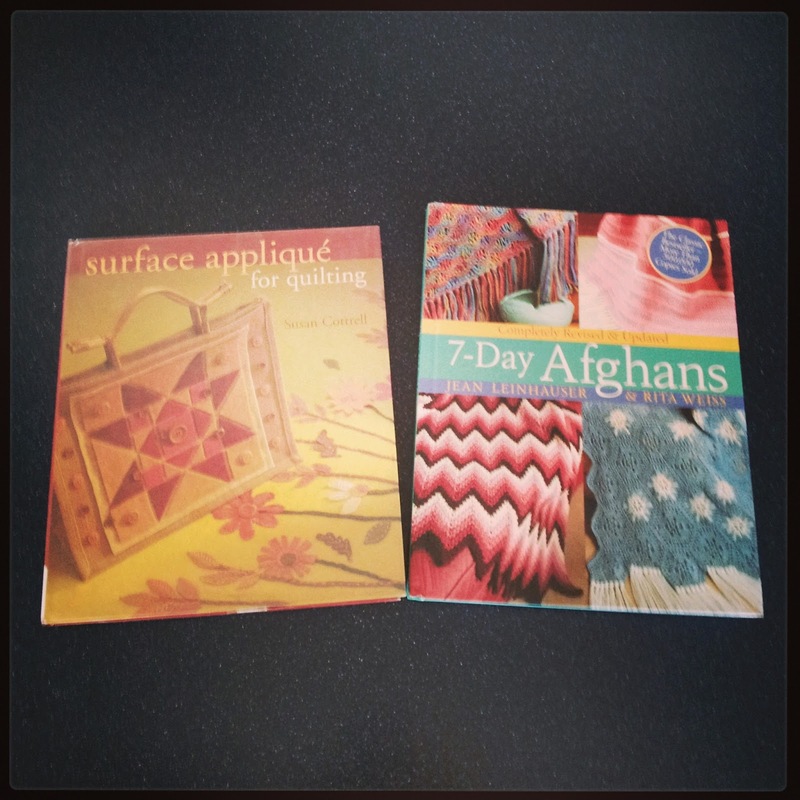 I found these like-new knitting books for $1 each at a hospice thrift store. At a retail store, these books cost $15-$25 each, so this was an amazing find. 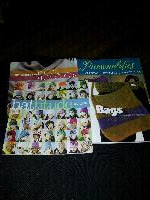 I was especially thrilled to find the knitted bags pattern book. Four like-new knitting books for $1 each, score! So the countdown to summer begins: 30 days! I have been so incredibly busy since the beginning of February that I am amazed I have accomplished anything with my Etsy shop, stinkR. I declared 2013 "The Year of stinkR", but 2013 had other plans. I have had to reevaluate my priorities more than once and let something go this year, like cooking better or losing all the weight. But, never knitting. Knitting is one of my passions. If I get time alone, you will find me browsing the aisles at craft stores, touching the skeins and sighing over buttons and bamboo needles. 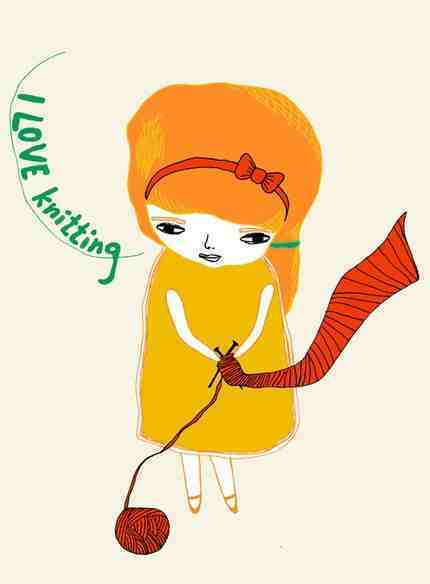 I love knitting! Inspiration strikes at any moment, in church (looking at the curtains behind the podium), at a restaurant (people-watching), or paging through a non-knitting related magazine (ooh, I could do that with yarn). I see stitches everywhere! I look at the purses ladies carry and mentally convert them into knitted bags, sometimes with metallic yarn and sometimes with feathery. 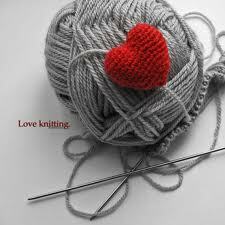 Knitting is part of me. My Etsy store is a branch of that part of me. 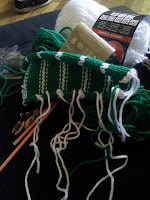 While I know I need the store to sell my products, I don't need it to feel complete in my knitting. Sometimes, the store adds a pressure to my knitting that removes all the joy of the process. I start thinking I HAVE to knit and make new items to list because that is what the store is FOR. Right? There is no quicker way to stall my muse than to tell me it is something I have to knit. The muse flees, runs for the hills! The project list I have? Nothing goes right. I use the wrong yarn or the wrong pattern and the results are never pleasing. I shake my head. I step back. I walk away from the needles. During this break, the answer always comes. Relax! Your knitting is your knitting, not Etsy's. You have the freedom to list one new item a day, or week, you choose! (Of course, I have goals for inventory, but that's another conversation) I go back to my WIP (works in progress, for you non-knitters), and usually frog (tear out) everything, pull the stitches out, and wind the balls back up. I start over. Knitting is a process for me and the end result will hopefully be something lovely I can list in my shop and sell to someone who loves it almost as much. I have scarves in New Mexico and New York! That would never have happened without my Etsy shop. (mostly because I don't know anyone who lives in those places because everyone I know has something I knit) So, the shop is secondary to my passion, not the inspiration or the reason. If I keep the perspective straight, the knitting just flows, and if the knitting flows, the shop gets filled. You know what I mean?